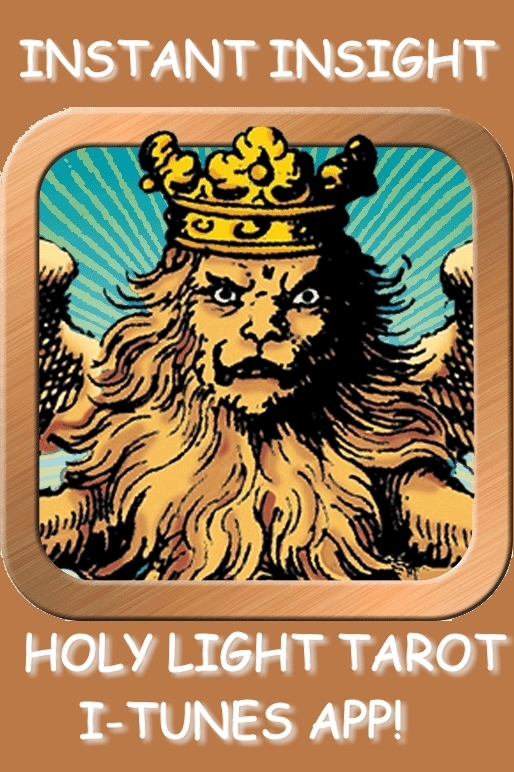 This is a celebratory month for me, because with this ArkLetter we announce the publication of the Tarot of the Holy Light, made in collaboration with my partner Michael Dowers. (The link to our new Tarot will be up shortly - in the meantime, sneakpeeks are in the images below!) If you would like to read the interview that Michael and I did with Bonnie Cehovet, go to http://bonniecehovet.wordpress.com/2011/08/19/interview-with-christine-payne-towler-part-i/. Watch that space because she's bringing it out in sections over the next week or so. For ease of use, the Tarot of the Holy Light demonstrates the historically standard correspondences (the simple signs, planets, elements and decans) clearly spelled out on the faces of the cards. This makes it easy for a Continental Tarot enthusiast to move straightforwardly between the cards and the chart, as we'll do today. From the point of view of the Renaissance Magi, this adds up to six out of seven planets between Cancer and Libra, all balanced by Jupiter in Taurus, the singleton on the other side of the zodiac. This is the classic wedge chart, showing Jupiter at the thin edge and the Mars/Saturn arc as the wide end. This identifies Jupiter's issues this month as the 'cutting edge' -- all the rest of the visible Planets and Lights together only just balance out his influence. In the early Renaissance, nobody would have known about Uranus retrograde in early Aries, Neptune retrograde in late Aquarius, or Pluto retrograde in early Capricorn. For brevity we are going to let those go without comment this month. But if you want to complete the circle of the Zodiac and Planets for yourself, just look over at my AAN chart and follow the row that is labeled "Old Alexandrian" (keyed to the Greek Alphabet Reform). For the Tarot of the Holy Light, we use these correspondences, popularized by Etteilla. As far as I can tell, this is the usage that is traditional to Masonic, Rosicrucian and Martinist inner circles (demonstrably the system current in Europe in the 1400's). If the suspicions are correct that the Trumps are a recitation of the magical alphabet in Christianized dress, then Etteilla's correspondences show us how these things would have been viewed by the esotericists of the Tarot's earliest century. Truly, the apple didn't fall far from the tree! The Emperor/Lovers pair (Jupiter in Taurus) advises that we move through our lives passionately, following those attractions that put us in touch with a heroic dimension of engagement. If we aren't ready to fully enter into an available union and follow through with gusto, then we should be respectful and refrain from wasting the energy of those around us. A fertile and creative moment is at hand, so look around for the circumstance in which to consummate this potential through a team project that brings benefits to the whole realm. Since this Planet is our singleton this month, the importance of bringing full energy and enthusiasm to our daily activities cannot be overstated. The Strength/Justice pair (Mars in Cancer) counsels deep meditation upon the potential consequences of current actions before any concrete steps are taken. The Strength image shows multiple streams of consequences arising from an act of personal will that will be irrevocable and potentially world changing. One's only protection in a circumstance like this is careful prior analysis of the impinging considerations inherent in the situation from the outset. Justice weighs and measures all the constituents of the experiment and tests for purity before embarking into her combinations, so there will be fewer surprises as the experience unfolds. The Star/Hermit pair (Mercury in Leo) reaches far beyond the plane of average consciousness, touching threads that are anchored deep into the past history of the soul and far into our future visions. The Star card allows us to contemplate our true and original self, untouched by the contingencies of time and circumstances that have tended to distort our worldly self-perception. Meanwhile the Hermit puts us in touch with the animating Spark of Light that each of us carries, our inherent resemblance to and inheritance from Eternity, which is our magical secret nature. We are advised to look beyond our mortal identifications for archetypal inspiration when the outer world seems flat or uninspired. The Fool/Wheel pair (Sun in Virgo) is also an introspective suggestion, because this Fool is an initiate who has cultivated the alchemical Trinity reflected in the heart center, the root center, and the will center that stands between them. By cultivating this subtle inward sensitivity the Fool can remain in harmony with the outworking of the Divine Plan around him or her. The Fool learns self-restraint, and is saved from acting out rashly, in unconsidered and feckless ways. Energy is conserved and peace is maintained until time and consciousness are ripe for right action. The Priestess/Wheel pair (Moon in Virgo) advises us to study the mechanics of our astro-alpha-numeric correspondences, as these inhabit and inform the arts and sciences of the Renaissance Magi. The Priestess gives the Wisdom Teachings, the Theosophia, from the Inner Sanctum, and the Wheel plays out the seasonal cycles across the land and through history. The Empress/Wheel pair (Venus in Virgo) emphasizes the Fertile Virgin within each human soul, no matter our gender or temporal circumstance. Each one of us is endowed with a pure sensitivity and empathy that allows us to resonate with may different life forms and situations across a full life of communications and exchanges. The Empress stresses our affinity bond with All That Is, while the Wheel locates us in the seasons and cycles of Time. Together they emphasize the power of attraction that keeps us anchored in our bodies and attached to the unique situations of this incarnation, here and now. The Judgment/Hanged Man pair (Saturn in Libra) are making an Annunciation into the sphere of the collective mind, challenging the individuated soul to differentiate itself from Matter without having to die to clarify the distinction.There is some kind of screening or sorting going on, which is meant to separate the sheep from the goats, so to speak. Those who can awaken are being invited to do so; those who have been making themselves available to the Light are bound receive it. The open and flexible soul that can endure the feeling of being suspended between worlds will come to know the reality beyond the world of appearances. One who holds onto this world but lightly, remaining open to the upwelling of inspiration and the call of spirit, can slip beyond the boundaries of flesh and navigate through the interpenetrating worlds of the inner planes. Remember as the month goes along that it's the Jupiter issues that will loom the largest. There is no time for insincerity, mixed motives or passive-aggressive strategies. As my dearly departed Dad used to say, if a thing is worth doing, it's worth doing right. Let's put our focus on the people, places and things that matter to us in the long run, and not just for selfish reasons. We all need to take responsibility for the collective realm, demonstrating our values in action and actively sponsoring those trends that lead towards a healthy, happy future. We are each sovereign in our own bodies and lives, so let's use those awesome powers for the good of all! 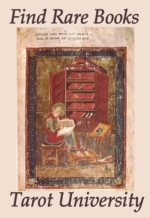 What we learn from this is, the Falconnier creator is demonstrating knowledge of the 3/7/12 model of the Hebrew alphabet , and showing this deck's relatedness to traditional magical applications. However the author doesn't feel "safe" making the pack 100% transparent, so the last four cards were fiddled-with in order to obscure its magical impact (or else elicit further investigation on the part of the user). When I find a standout gaffe in an otherwise correct compilation like this, I attribute it to the routine Masonic teaching strategy. That is, to insert a stumbling block that will distract the superficial student, who can be trusted to never consult the sources and untangle the real facts. This keeps the Tarot deck magically "disarmed" as it enters the marketplace, making it safe so ignorant people can't accidentally hurt themselves with it. This strategy protects the karma of the deck's maker, and it also separates the sheep (who love the flat ground and will generally stay within their allotted space) from the goats (who can be counted on to push beyond the fence line, to rove and to climb in search of a higher vista). A translation of Etteilla's own writings on Tarot (including his remarks about the Marseille Trump relationships) has been very generously supplied by MikeH over at the Etteilla Variants link >, explicitly starting in post #84. 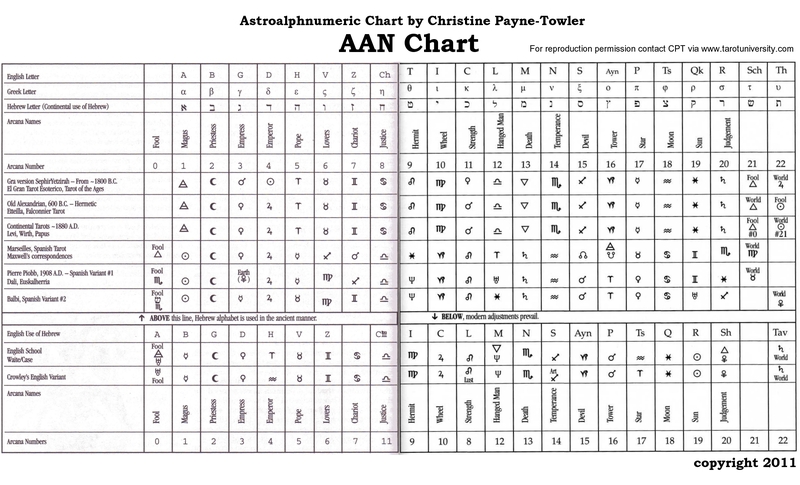 Let me remind the reader that my AAN chart is Astro-alpha-numeric, keyed to the standard values of the Magical Alphabet, and every deck of cards or book mentioned on the chart is being evaluated according to the particular AAN system it demonstrates. This body of knowledge can be found throughout Western Esotericism under the rubric of the Doctrine of Correspondences. I compiled this information using a Marseilles chart as the historical prototype. This fact results in every other pack or book being measured by the Marseille standard. As one can easily see from the historical packs and authors mentioned there, the fundamental doctrine of correspondences associated with Tarot cards are and have always been those of the Sefer Yeti, although we can see slight adjustments, mostly between the planetary letters, from one pack to the next.